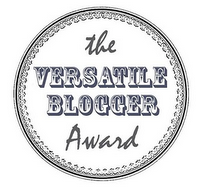 has been sweet enough to nominate me for a Versatile Blogger Award! I admit, it took me a while to get the gist, though. 3. Pass this award along to 15 or 20 of your favorite bloggers. (There goes my day and what’s left of my sanity! I’ve never even dreamed this would ever happen to me. 1. I consider myself a human being – on good days. 2. I do not believe in regret – I pity those who do – I go with denial. 3. I am not insensitive – only people who don’t understand me claim that. 4. I do admit I’m weird, sometimes, okay most of the time – but I’m mostly harmless. 6. I can’t stand it when I run out of Fortune Cookies – how can anyone live without their wisdom? 7. I feel so dirty right now, I never thought I’d make so many confessions – without having slept with you first, at least. Anyway, cheer up folks, you just won yourselves a splendid award! to get laid by you. any living thing on this planet. Valentine’s Day or candy-coated misery (as some may refer to it), can be tough and even painful for neglected creatures. Other Person: Be your own Valentine, I’m busy!!! So, now you need to be absolutely honest about your feelings, if you don’t you might end up as one of this crazy cat people. Answer the question below, that will give you a first clue and determine the state of your derangement. Besides it will show you how many other people share the same fate. You might want to do this for your own good. By now you know whether you are a happy camper or not. For those of you living a life full of joy – Happy Valentine’s Day! The rest, stay tuned there is hope and help will be provided. Strange town never been here before. Nobody else here, that’s weird. Thank god I never travel without my waffle iron. Need to pray, looking for a chapel, temple, anything nearby would be fine. Found an abandoned conservatory It’ll do. Fall on my knees immediately. Wasn’t a good idea, broken glass everywhere. Clasping my waffle iron, begging for mercy. I awake screamingly, relieved it was only a dream. What the hell happened to my knees? Welcome to the Help Camp! Home of the desperate, shelter for the disappointed, place for pissed ones. Mad about the injustice that Alan Rickman isn’t even nominated for the Oscar? Just follow my 10-Step-Get-Well-Soon-Program-For-Rickmaniacs and you will survive. Step 1: First of all, it’s not the end of the world – it only feels like that, it’ll pass – try to breathe. Step 2: Resist to eat! If you shove in too much ice cream, candy and cake into your mouth, it won’t fill the emptiness and remember sorrows don’t drown – they can swim – stay away from booze, too! Scream, as loud as you can, you’ll feel better, promise. In case you’ve sensitive neighbors, or other insensitive people, who do not share your pain, scream into your pillow, or if it’s already wet from your tears, the nearest woods will do. Step 4: Let’s have a bit of a think. So let’s say he’s the total package. There is no need to feel sorry for him! Step 5: Dance with Alan – he’s even (almost) singing for you. Refuse to dance? I don’t think so! 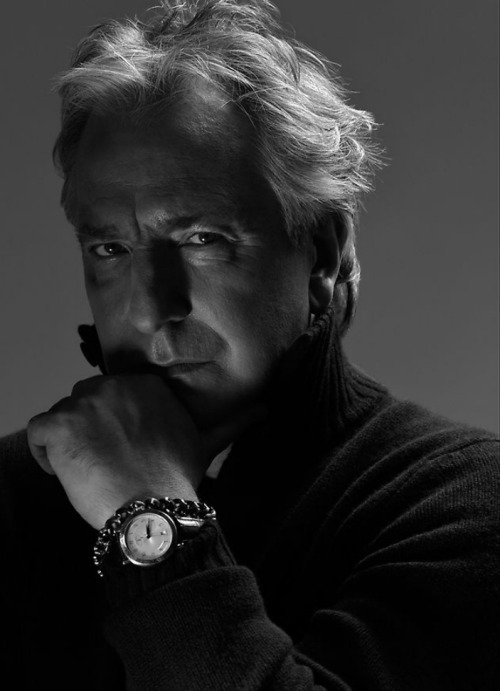 Step 6: Confess that the obsession with Alan Rickman is bigger than you. 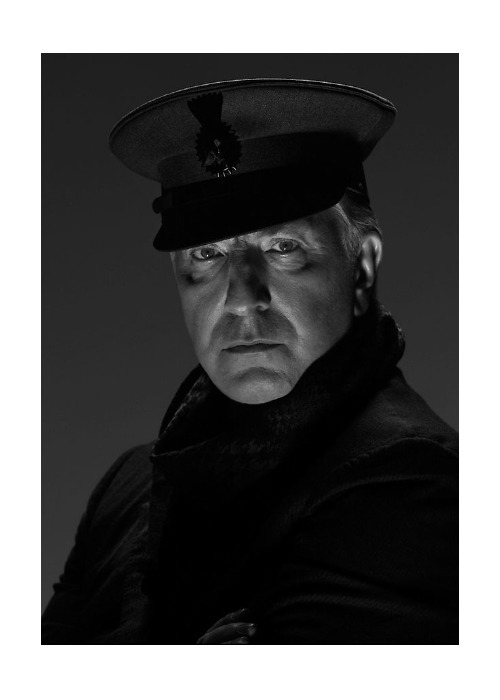 I hereby confess, there is no other Rickman than Alan, and I will worship him forever. Step 7: Call yourself a Rickmaniac and be proud of it. Step 8: Find a way back to life. Step 9: Take full responsibility. You are sad and you have the goddamn right to be. Step 10: Ask for help! I’m there for you, I understand, I share your pain. Don’t hesitate to let me know. He doesn’t need a naked bald guy in gold coating to be gorgeous, he already is. By the way, he has the sexiest hair in the world himself, so whatever you do – don’t panic!